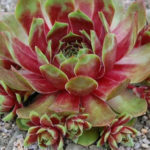 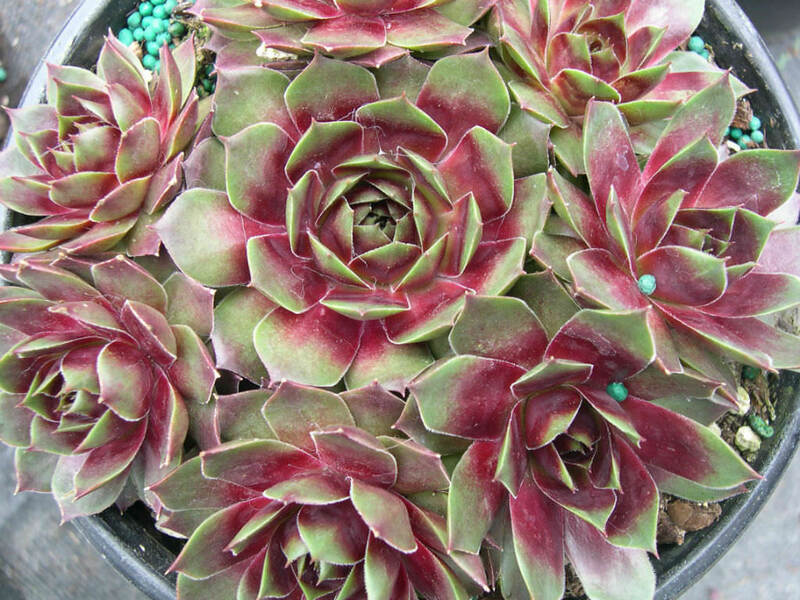 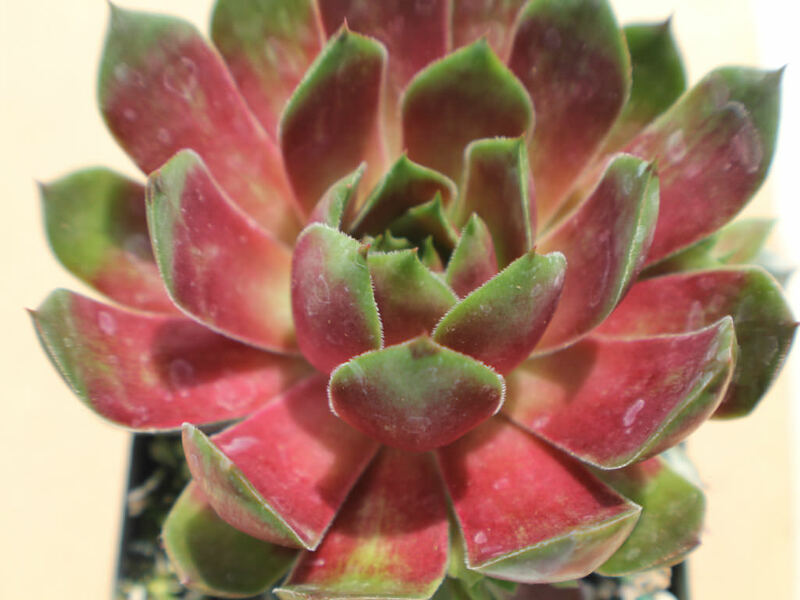 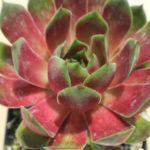 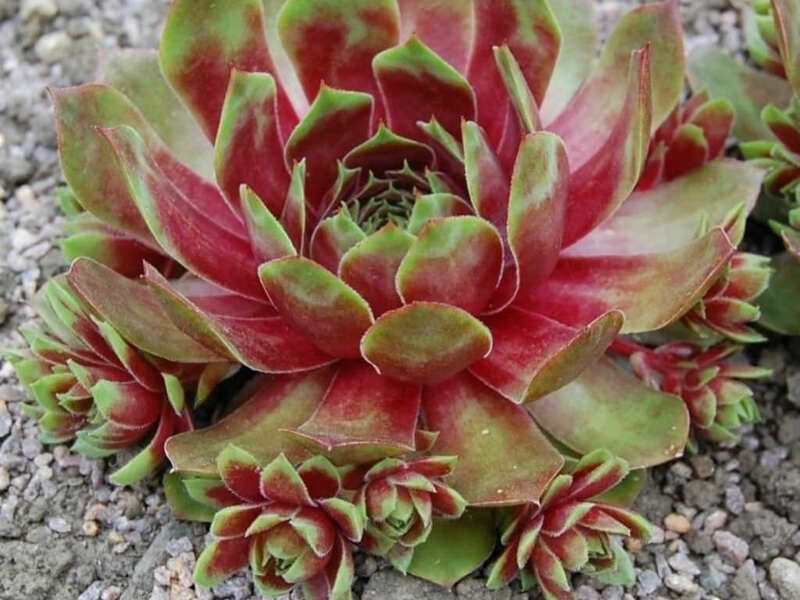 Sempervivum ‘Westerlin’ is a perennial succulent with large rosettes, up to 6 inches (15 cm) in diameter, of sharply pointed, red leaves with green tips. 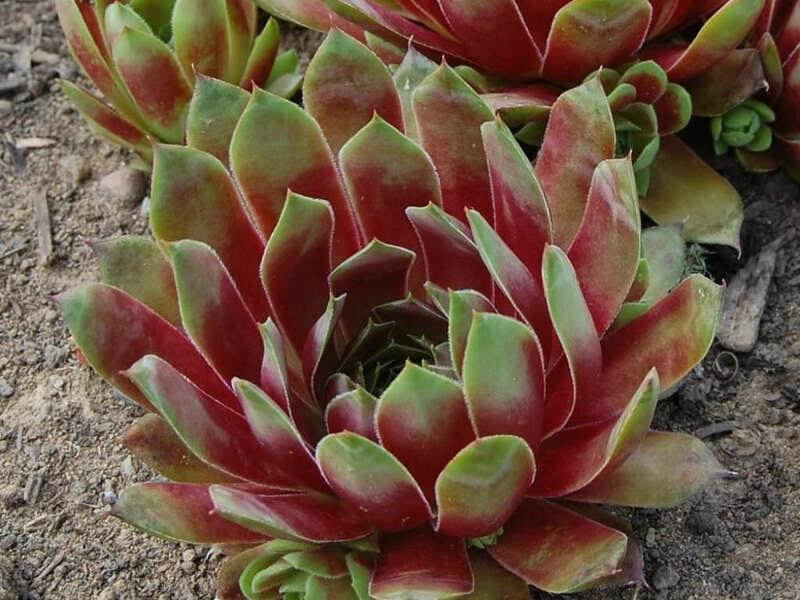 This color may vary from season to season. 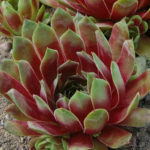 Offsets are born on very short stolons. Short spikes of pastel flowers appear in summer.